Approximately 3.3 billion people— nearly half of the world’s population— live at risk of becoming infected with malaria. 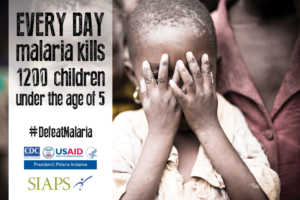 The World Health Organization (WHO) estimates that there are 198 million clinical malaria cases and nearly 600,000 deaths caused by malaria each year, with 78% of deaths occurring in children under five years of age. Though developed countries have essentially eradicated the disease, malaria remains a major public health threat in the world’s poorest countries, where weak health systems stand in the way of effective prevention and treatment—indeed, approximately 90% of malaria deaths occur in sub-Saharan Africa. In addition to this disproportionate burden on the poor, newer challenges, such as the emergence and spread of treatment-resistant Plasmodium parasites, serve as stark reminders that efficient health systems are one of the most powerful weapons in the fight against malaria. 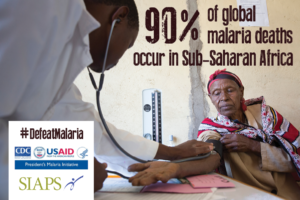 The SIAPS Program, with funding from the US Agency for International Development and the President’s Malaria Initiative, is working with governments around the world to strengthen systems for malaria control, thereby ensuring the continuous availability of and rational use of antimalarial medicines and commodities in the places that need them the most. 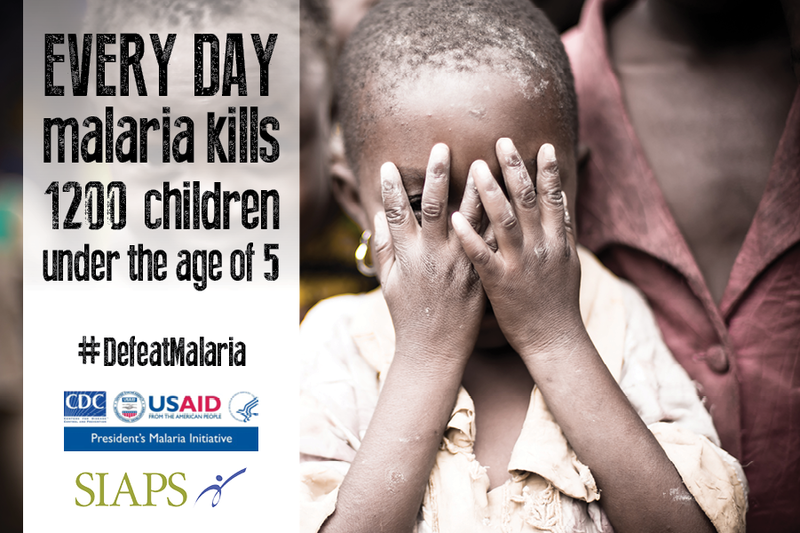 Malaria is the leading cause of death in Mali, particularly among children younger than five. The implementation of Mali’s national malaria control policy, which emphasizes increasing access to accurate malaria diagnosis and treatment, depends largely on engagement with private-sector companies and health facilities. Since private-sector pharmacy stores are often first point of care for many people in Mali, ensuring the availability of rapid diagnostic test (RDTs) and artemisinin-based combination therapies (ACTs) at private facilities is particularly important to expand access to malaria testing and treatment. In Burundi, malaria accounted for 75% of all cases seen at the health centers in 2009 and remains one of the main causes of death for children under five. As part of the strategy to scale up effective and timely case management using artemisinin-based combination therapies (ACT), and as a way to ensure early detection and correct management of malaria in children under five, the Ministry of Health (MOH) in Burundi started to pilot community-based case management (CCM) of malaria in three of the country’s 45 districts. SIAPS provided support for a CCM pilot program, helping to develop job aids, organize training sessions, and establish proper data collection mechanisms for community health workers (CHWs). Over the course of the program, CHWs saw more than 62,000 children under the age of five, nearly 60% of whom tested positive for malaria. By assisting in and evaluating the pilot program, SIAPS was able to identify potential weaknesses in the CCM model and make recommendations for the rollout of CCM to other parts of the country. Many countries in Latin America and the Caribbean have been successful in eliminating malaria in large geographical areas that have stable populations and good access to health care and medicines. However, malaria still thrives in remote regions, or “hot spots”, where the population has limited access to basic health services. In Brazil, French Guiana, Guyana, and Suriname, malaria is mainly transmitted in mining regions; other countries of the region face similar challenges diagnosing and treating malaria in their own hot spots. Knowing that elimination of malaria in depends on effective control of the disease in the remaining at-risk regions, SIAPS Program’s Amazon Malaria Initiative (AMI) seeks to strengthen health systems in these countries. The region of Loreto, in northern Peru, is home to nearly 90% of the country’s malaria cases, and reflective of many typical malaria “hot spots” in the region. In 2013, Loreto was faced with acute medicine stock-outs, largely due to improper stock reporting, and poor distribution and storage practices. Through AMI, SIAPS provided technical assistance for a number of interventions in the region, helping to standardize stock reporting and order forms, develop new distribution criteria, and improve storage conditions. A results assessment conducted in 2014 showed that overall the availability of antimalarials in health facilities was increased from 50% to 72% in health facilities. Of the facilities requesting antimalarials, 100% received the necessary supplies on schedule—up from 62% in 2013. Meanwhile, emergency requisitions were reduced from 38% to 20%, and the number of facilities with expired products decreased from 33% to 8%.